At least one doctor was among the 35 killed and 60 wounded by the suicide truck bomber Saturday at an Afghan hospital. Kabul, Afghanistan(CNN) -- A suicide bomb attack targeting a hospital in eastern Afghanistan killed at least 35 people and wounded more than two dozen, a brazen strike that rocked a maternity ward and claimed the lives of numerous women and children. The mission noted that assaults on hospitals "are strictly prohibited under international humanitarian law" and that "medical workers, clinics and hospitals must be respected and protected in all circumstances." Dr. Khaliq Yar, head of the provincial projects for a national medical program, described the hospital as a four-ward comprehensive health center, including a section for mothers and children and ten beds for maternity patients. 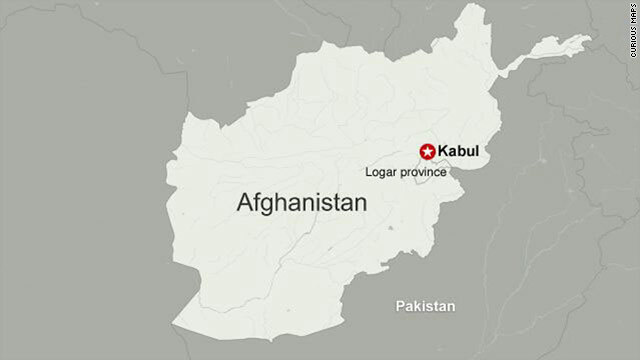 The Logar assault follows a similar strike last month when a suicide bombing tore through a military hospital in Kabul, killing six people and injuring others. "This is a despicable attack against civilians who were seeking medical care, as well as visiting family members and health workers," Staffan de Mistura, the special representative of the secretary-general for Afghanistan, said in a statement on Saturday. "The terrorists demonstrated a disregard for human life when they targeted Afghans who were patients in a hospital and their visitors and relatives, and hospital personnel," the U.S. Embassy in Kabul said in a statement. Casualty reports fluctuated in the hours after the attack. Logar governor's spokesman Den Mohammad Darwish told CNN that along with the 35 deaths, 25 others were wounded. The Logar strike is the second attack in as many days in Afghanistan that targeted civilians, just days after President Barack Obama outlined a plan to withdraw 30,000 troops from the country by September 2012. Along with the Logar strike, a bomb attack in the northern province of Kunduz on Friday killed at least 10 people, actions the embassy called "devastating." The Afghan President Hamid Karzai and NATO's International Security Assistance Force also issued statements condemning both incidents, and said the violence underscores warnings from military commanders that insurgents are intent on pursuing large-scale strikes. "The insurgents have a complete disregard for the innocent people of Afghanistan who are trying to live in peace," ISAF spokesman Rear Adm. Vic Beck said. The Kunduz incident on Friday occurred in the province's Khan Abad district square, said Mohibullah Saidi, a spokesman for the provincial governor. Along with the 10 deaths, 24 people were wounded in the attack, the Ministry of Interior said. The bomb was placed in a bicycle and was detonated by remote control, Saidi said. ISAF also reported the deaths of two service members on Saturday in separate insurgent attacks in eastern Afghanistan, and the alliance confirmed that one of them was a French service member. The nationality of the other soldier was not immediately available. There have been 48 international troop deaths in June and 264 this year, according to a CNN count of casualties. The French government said its soldier was wounded by insurgent fire in a fight during a reconnaissance mission in Kapisa province and died later at a hospital. He is the 63rd French soldier to die in the Afghan war. France announced Thursday that it would also begin to reduce troop numbers, saying it "will initiate a progressive withdrawal of troops in Afghanistan, and will follow a timetable comparable to the withdrawal of the American troops." French President Nicolas Sarkozy's office said the withdrawal will be done in consultation with NATO allies and the Afghan government. All French soldiers could be out of Afghanistan by 2013, French Defense Minister Gerard Longuet told France Info radio Thursday.